The year is 1871 and Lucy Maloney, a kept woman, has been found murdered and stuffed in a trunk at the Hudson railway depot and New York journalist Charles St. Clair is on the story. The clues lead him from the mansions of Fifth Avenue to the brothels of SoHo to the dangerous saloons on Water Street. When the medical examiner reveals that the woman died from a botched abortion, St Clair sees a connection to his late wife’s death from the same procedure. St Clare and his boss hire Ruth Cardaso, a beautiful actress, to visit abortion clinics gathering information for an article he plans to run called "Evil of the Age." Deceit at the highest levels of political power comes to light when they uncover Lucy’s connection to a ring of abortionists and to Madame Philippe, a wealthy woman known as “Madam Killer.” As St. Clair dives deeper into the city’s sordid politics, he finds villains in surprising places and comes to suspect that while petty crime in New York is rampant, organized crime trickling from the top down is the true scourge on society. 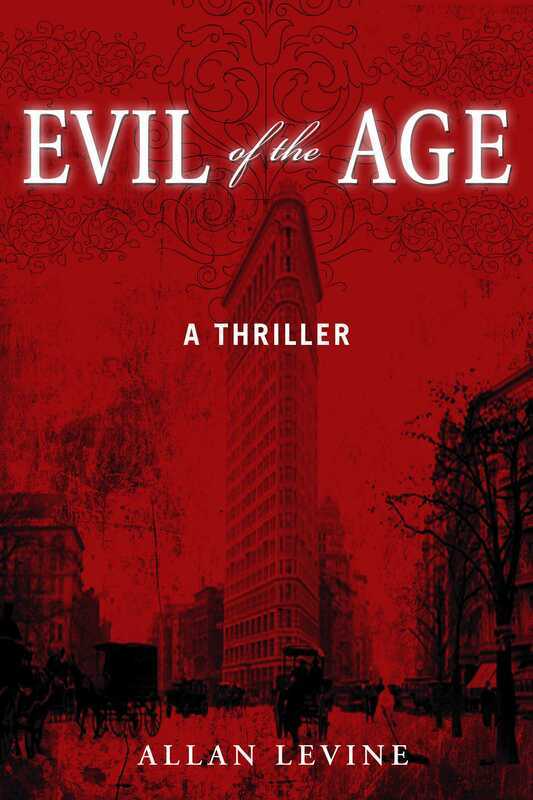 Evil of the Age is well-crafted a mix of historical lore and political corruption set against the seedy background of mid-1800s New York City. Allan Levine is an award-winning writer, historian, and educator. He is the author of nine books, including the Sam Klein mystery trilogy (which was published in Canada and Germany). He lives in Winnipeg, Manitoba, Canada.